“For those of you who feel overwhelmed and yet can’t see what you could eliminate from your schedule, I’d like to address a few things here. First, I want you to know that life really isn’t a competition. I think we can all agree that a little competitiveness is good-it motivates, keeps us on our toes and helps us do our best. But when you feel everything you do is being compared to someone else, it can make you a little crazy! I’m not knocking being the best at something. But there are tons of other positions in life. You’re probably familiar with them despite killing your Self to be number one. I’m urging you right now to just do the best you can (and let your kids do the same) and then relax. 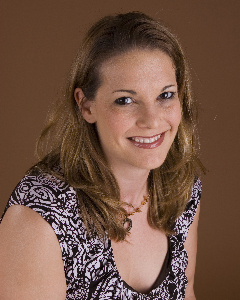 Today’s author is Stacey Glaesmann, MA, LPC. Her book is What About Me?